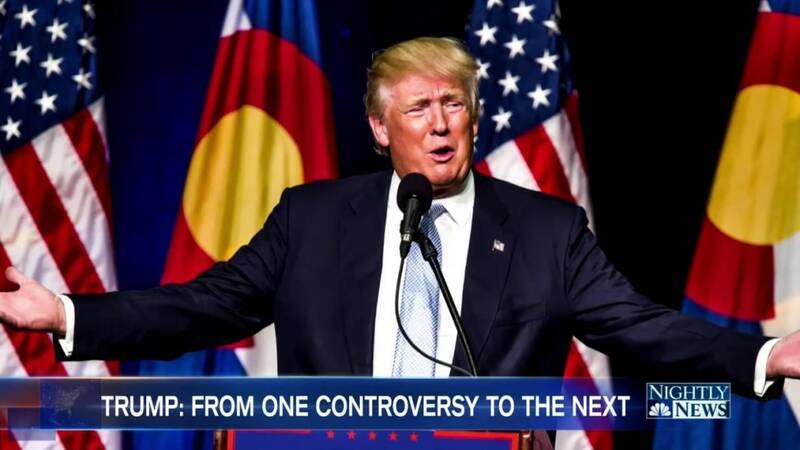 Trump had questioned why Capt. Khan's mother, Ghazala Khan, did not speak at the Democratic National Convention as her husband delivered a sharp rebuke of the GOP nominee's proposed Muslim ban. "Maybe she wasn't allowed to have anything to say," Trump said. Ghazala Khan has since said she did not speak because she was nervous. 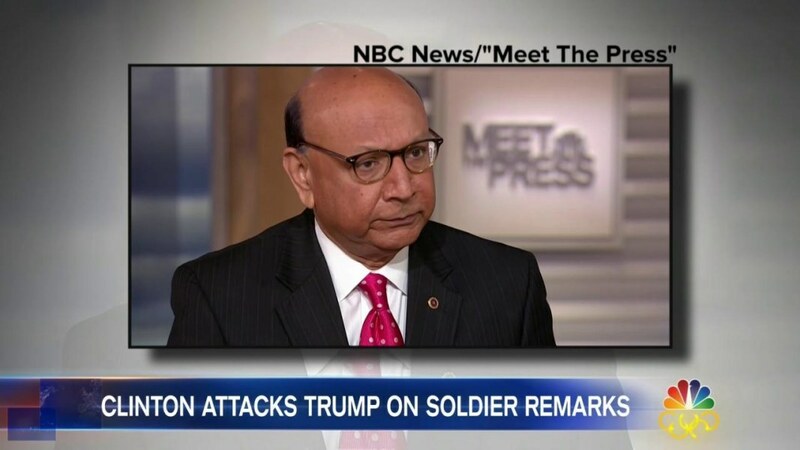 Meanwhile, her husband Khzir Khan has been fiercely critical of the GOP nominee, telling NBC's "Meet the Press" that Trump has no "moral compass" and CNN's "State of the Union" that Trump "is a black soul." "Donald Trump and I believe that Capt. 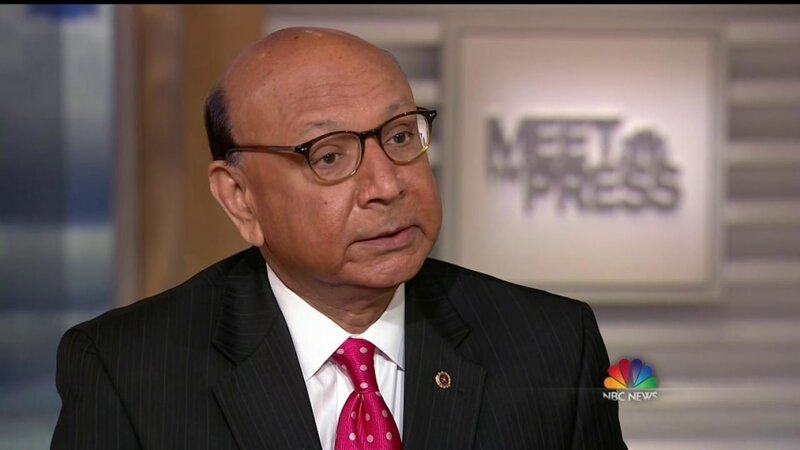 Humayun Khan is an American hero and his family, like all Gold Star families, should be cherished by every American," Pence said in the statement. He went on to describe the Middle East as “once stable,” and blamed the “disastrous decisions of Barack Obama and Hillary Clinton” for the rise of ISIS. The statement also said the proposed suspension of immigration from countries "compromised by terrorism" would "reduce the likelihood that other American families will face the enduring heartbreak of the Khan family." Since accepting his party's nomination, Pence, the father of a Marine Corps officer, has refrained from responding to a parade of controversial statements by his running mate, including: That Vladimir Putin is a better leader than President Obama, the potential recognition of Russia’s annexation of Crimea, the embrace of Russia’s alleged hacking of DNC emails, the assertion that Ted Cruz’s father was an associate of Lee Harvey Oswald, Ted Cruz, statements encouraging the defeat of Ohio Gov. John Kasich, a pitch to increase the federal minimum wage, and openness to changing the Geneva Convention to allow for the use of torture tactics. Pence also made the case that bans against specific news organizations barred by the Trump campaign should be lifted. 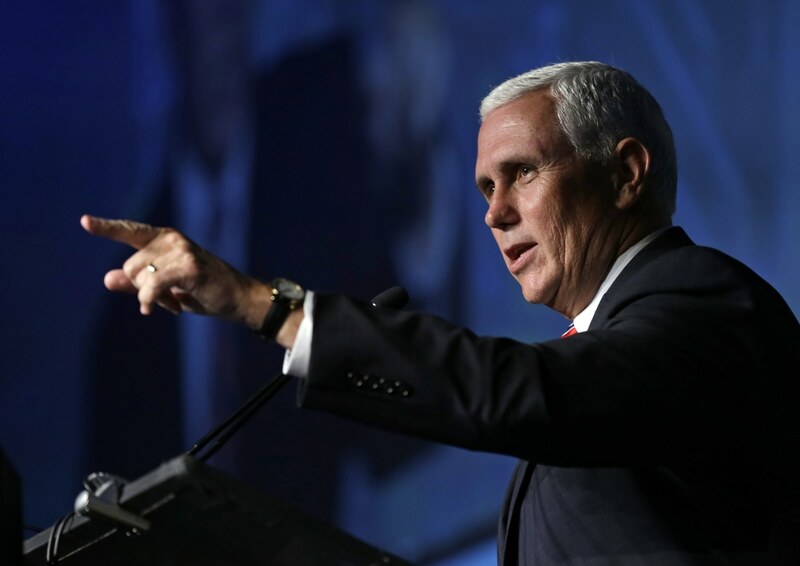 Since his acceptance speech on July 20 in Cleveland, Pence has only appeared on PBS, three times on Fox News, local affiliates and on conservative radio programs. His staff had indicated in the last week that Pence would answer the questions of the traveling press corps, but the campaign has delayed the meeting between reporters and the candidate. The only interaction that Pence has had with the traveling press since joining the GOP ticket on July 16 was a two-minute encounter last Friday when he and his wife, Karen Pence, delivered birthday cupcakes to a reporter. But the candidate promptly returned to his seat at the front of the campaign plane and followed by tweeting out a photo of the moment in what could appear to the outside public as evidence of a congenial relationship with the press. The rest of Friday — in which Pence and the press traveled from Indiana to Ohio and back — came and went with no further effort by Pence to go on the record. 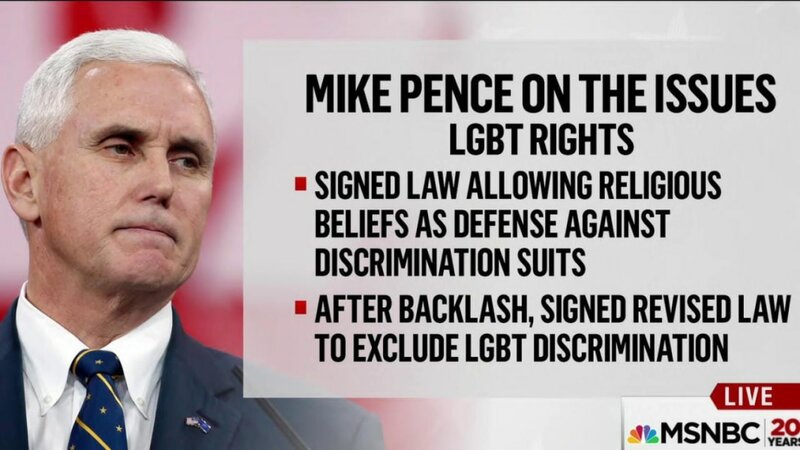 Prior to his selection as Trump’s running mate, NBC News asked Pence multiple times whether he would be comfortable disagreeing with his running mate on the campaign trail. 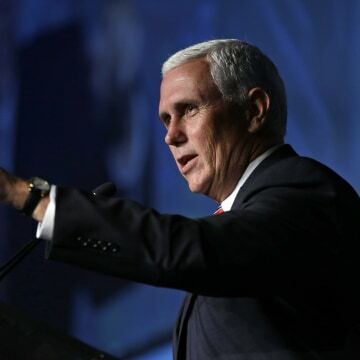 “I’ve taken issue with our candidates from time to time, but I’m supporting Donald Trump as the next president of the United States of America,” Pence said on July 12. But like at Trump rallies, the campaign operation around Pence has quarantined members of the media into a fenced-in press pen in the back of each rally venue, blocking off media access to the candidate inside the event to ask questions. Pence spent this last weekend at home in Indianapolis with no media appearances, and on Sunday, before issuing his statement on the Khan family, Pence issued just a single other tweet — of himself getting a haircut. The Indiana governor will head out on the campaign trail Monday for a western swing through Nevada, Arizona and Colorado. The press will attend, as well.